As we drove down the rutted dirt road to the resort, we passed women spinning coir. 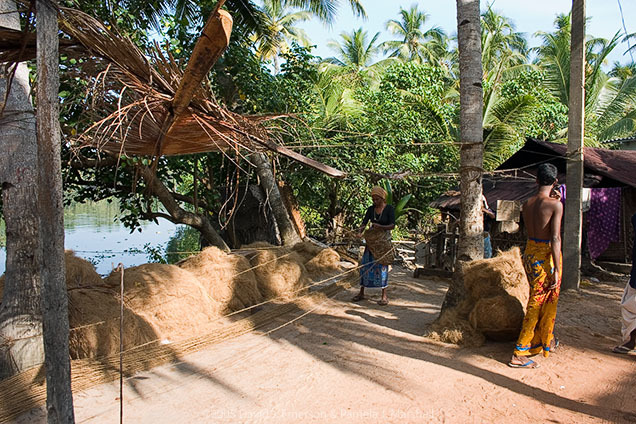 They were near the road and watching the coir workings was one of the Coir Village attractions. ©2005 David J. Emerson & Pamela J. Marshall.